￼￼￼Dr. Irwin Redlener spends a lot of time thinking about what can go wrong. For decades, he has advised governments about how to handle the public health consequences of hurricanes, tornadoes, terrorist attacks, earthquakes, and the like. That’s because, as director of the National Center for Disaster Preparedness at the Earth Institute at Columbia University, analyzing all the various catastrophes that can befall human beings—as well as figuring out strategies for preparing to withstand disaster and recovering when the worst happens—is, quite simply, his job. 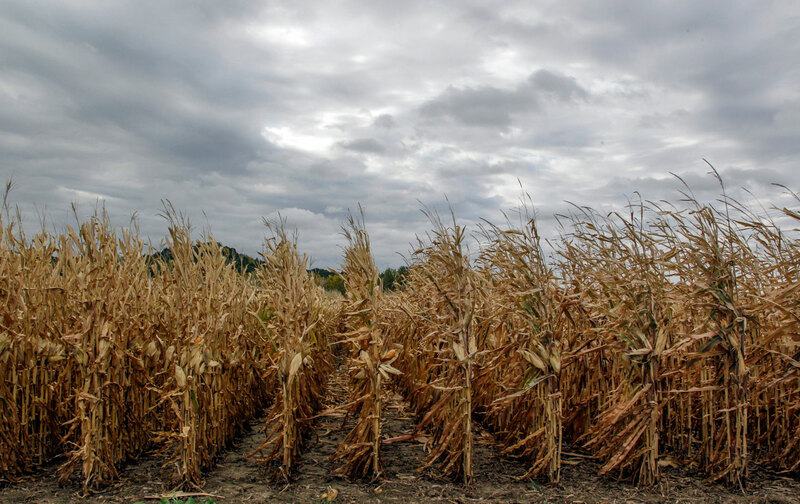 Lately, Redlener, also a professor of public health at Columbia and the founder of the Children’s Health Fund, has been devoting a growing amount of time to considering the particular challenges posed by climate-related crises, like drought. He believes that such crises are among the top five disaster threats emerging in the world today. The others include such dire possibilities as antibiotic resistant superbugs; large-scale cyber threats; regional nuclear conflicts, which he believes would have extraordinary global consequences; and high-impact infrastructure failures. We talked with Redlener by phone about the psychological trauma that drought can cause, the potential for technological solutions to long-term drought, and the geopolitical implications if we ignore ongoing droughts around the globe. The interview has been edited and condensed. Sarah Goodyear: You’ve mentioned that one of the things that keeps you up at night is the prospect of drought becoming a more widespread phenomenon in the near future. Irwin Redlener: It’s a very complicated situation, because drought has existed since the beginning of time. Way before there was a significant growth in human population, drought has been part of the reality of the atmospheric conditions that cyclically affect the planet. I don’t want to be characterized as saying that this is all about climate change.… But there are things that are happening around the world that make drought an increasingly threatening reality. Those factors that have created this situation have to do with a much greater global population and much more overcrowding. We also have people on the run seeking water, which is critical for human health, critical for agriculture, and a critical part of the economy. [And] The chance for increasing international conflict at various levels with various kinds of consequences, I think, becomes a more prominent reason for concern. SG: Can you talk about public health outcomes associated with drought that you’re studying now? IR: Let me start with the more medical outcomes. When you have drought and you’re living under extremely arid conditions, then you have an increase in the potential for everything that may be raised and spread. For example, spores of certain types of fungal diseases will be picked up and transmitted much more easily. Dust storms, which happen much more frequently in drought areas, have a tremendous impact on respiratory conditions and allergies and everything else. And with overcrowding and a persistent very high rate of asthma—particularly among children, particularly among indigent populations, even in the United States—the threat of increased particulate matter in the air is real and it’s important. And certain diseases carried by mosquitoes—we’re worried about the increase of certain kinds of viruses like West Nile virus and equine encephalitis. Basically, drought messes with the natural environment. Even if it’s naturally occurring, there are incontrovertible changes that have a consequence in human health impact. SG: And beyond the medical impacts? IR: One of the larger concerns is the mental-health consequence of drought. The amount of stress caused in areas where there is significant and sustained drought is way more important than most people realize. Drought affects the economy, water supply, lifestyle, and agricultural productivity. The downstream consequences on humans that are facing these threats, including loss of jobs and daily lifestyle challenges, become overwhelming. Some people are beginning to observe high rates of suicide as the result of drought. Emotional stress and its related consequences. Family dysfunction and things that haven’t really been documented yet. Human existence is dependent upon water, period. In some ways it even transcends the idea of rights. I’m going to put on the table, how are children impacted by sustained drought? When we looked at the impact of Hurricane Katrina or the BP oil spill on children, there were unexpected findings having to do with child health and children’s performance at school. I think it’s fair to ask, will sustained drought also have an impact on children that we haven’t begun to categorize or catalogue? SG: So this is a new area of inquiry for the public-health community? IR: We’re at the beginning stages. Everything about climate and drought has been mostly in the domain of climatologists, meteorologists, earth scientists, and so forth. Drought, the larger it is, the more prolonged it is, the bigger of a disaster it is. So it falls into the category of those very long-term sustained disasters. That’s as opposed to—just to take an extreme different example—a tornado coming through an area. It does its damage, it’s done, and then we’re just basically picking up the pieces and recovering and rebuilding. Certain kinds of disasters, though, are much more long-term. The recovery from Superstorm Sandy, Hurricane Katrina, the BP oil spill, and the sustained challenges associated with drought fit into another category of disasters that you might want to think of as chronic disasters as opposed to acute disasters. There are different kinds of consequences, and we have to measure them differently. The tools for that, we are really just beginning to develop those and put them to use. SG: You mentioned refugee migration away from drought-stricken areas around the world. But in the case of the United States, many water-stressed regions of the country, such as the Southwest and California, are still seeing an influx of people. People are going there because those areas of the country are perceived as more economically viable than elsewhere, but this key resource is in shorter and shorter supply. IR: Just raising those questions has very significant economic impact not only for those regions but for the country as a whole. If a natural resource that is so essential is limited, that really undermines the ability to develop economic plans that are actually able to transpire. So then the question becomes, now what? I think we’re going to have to increasingly depend on technological advances to meet these challenges, which are otherwise going to be totally overwhelming. We could tolerate a lot of influx of population into California, if we could secure a long-term solution to sustainable water. That would be great. Let’s get those gates open and continue economic development. In the absence of that, if we didn’t deal with this, California becomes very undesirable. Eventually we’ll see an efflux of people. Who’s going to come to a drought-ridden state or city to set up a new business when the water supply is seriously threatened? How are children impacted by sustained drought? The other part of that strategy is a lot of behavioral change. How people manage their daily lives. And that’s going to be a longer-term educational process. I’m hopeful about that. SG: Could we talk a little bit about the idea of water as a human right? IR: There are certain things that are human rights, and there are certain things that are human necessities. Human existence is dependent upon water, period. In some ways it even transcends the idea of rights. SG: Sometimes even that basic necessity ends up being ignored. In the Central Valley of California, large communities of economically underprivileged farm workers are the most affected by the drought. They’re trapped in the drought zone, suffering from airborne fungal diseases and asthma, wells running dry. Some people say they should just pick up and move. IR: That’s a message that would be relevant if it that were actually feasible. But it’s economically not viable. These people have to have jobs, and they have to be able to sustain themselves. They have to have the wherewithal to be able to actually pick up and move. So in a highly developed, highly industrialized nation like the United States, that answer is not OK, and we simply have to take care of the most vulnerable. That’s part of our understanding with people in our society. This discussion reminds me, when Katrina was bearing down, we told people to evacuate. It’s one thing to tell an affluent family with a car and resources and affluent relatives in Baton Rouge to just move in with their cousins for the duration, versus telling people in the Lower Ninth [ward] with no money, no transportation, no backup reserves. And then we end up herding them into the Superdome. Disparity of recourse, that is something that is really a significant problem here and elsewhere. Think about the million and a half refugees out of Syria. We have these people for whom life is horrifyingly miserable, with danger everywhere, and on top of that, lack of water and resources and access to food. Hopefully, that’s not the message we’re giving to people in America, that you’re just going to have to find your way, somehow, someplace, where you’re going to find some oasis where you’re going to be able to get a glass of water. We’re about solving the problem so that people can stay and they can thrive economically. And we’re going to have to find the money to deal with this water challenge. Fixing the water-security issue with technology is going to be very critical. However, it’s extraordinarily costly. We already have, as recognized by the American Society of Civil Engineers, about a little bit more than 3 and a half trillion dollars in general infrastructure upgrading repairs and replacement that needs to happen. This is not something that we’ve figured out how to deal with. But if we really want to address water security, even just in America, that tab is going to go up by some number. I have no idea what that number is going to be, but it’s a lot. This needs to be part of the discussion of the upgrading of America’s infrastructure. Sarah GoodyearSarah Goodyear writes frequently about cities and the people who live in them, for publications including CityLab and Next City. She is also the author of a novel, View from a Burning Bridge (Red Hen Press).